The festival is a family oriented event where all are welcomed to enjoy great food, drink, games and music. The Festival is returning to it’s traditional 3rd weekend of August, the weekend closest to the feast day of our parish patroness, the Virgin Mary and the Solemnity of her Assumption to Heaven. 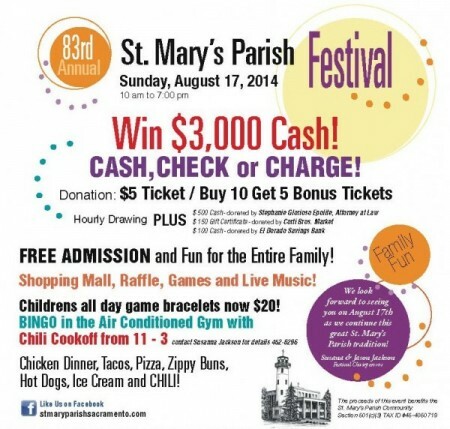 This is our annual opportunity to celebrate our community that is St. Mary Parish. 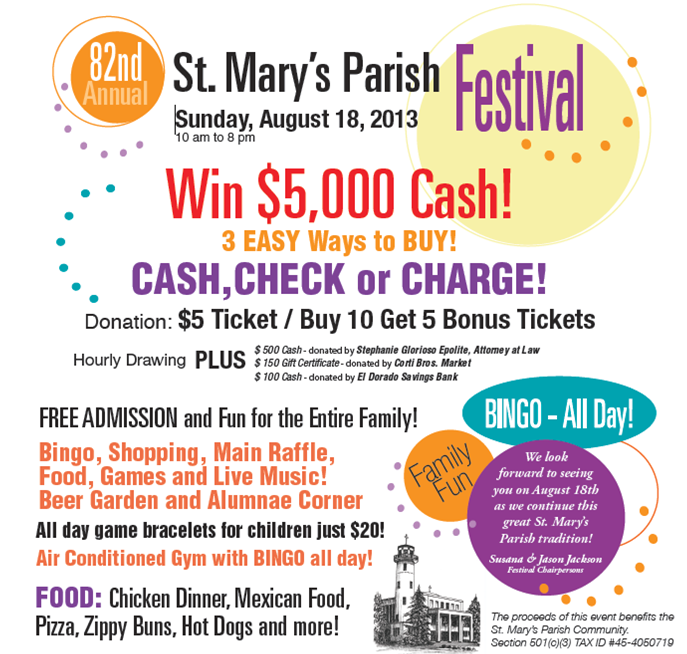 While we know that you will enjoy all the Festival has to offer, it is truly a work of our whole parish community to make the Festival a “don’t miss” event. Please read the letter from Festival Chairs, Joe & Marte Frasca, to see how you can be part of this East Sacramento tradition.